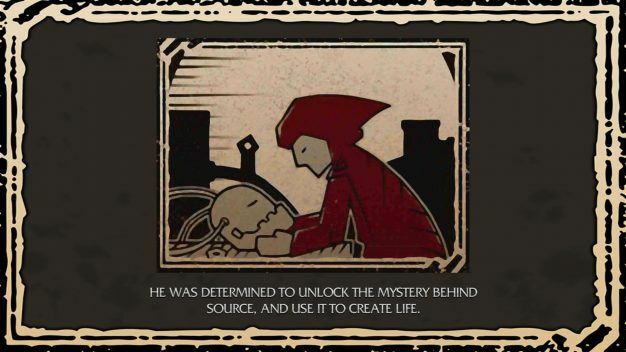 Lock’s Quest is an interesting experience with the current mobile gaming landscape. 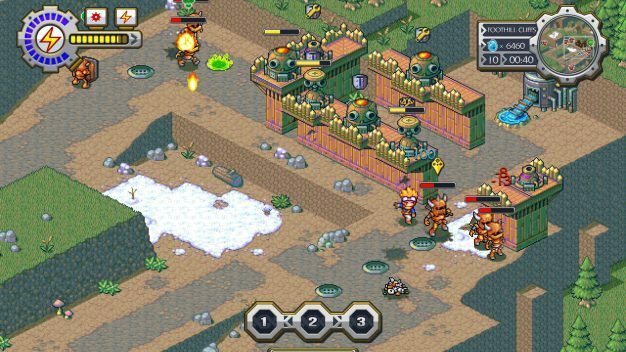 The tower defense genre has become so saturated with developers trying to cash in with pay-to-win progression systems or uninspired concepts, it’s hard to distinguish what makes a tower defense game actually good. 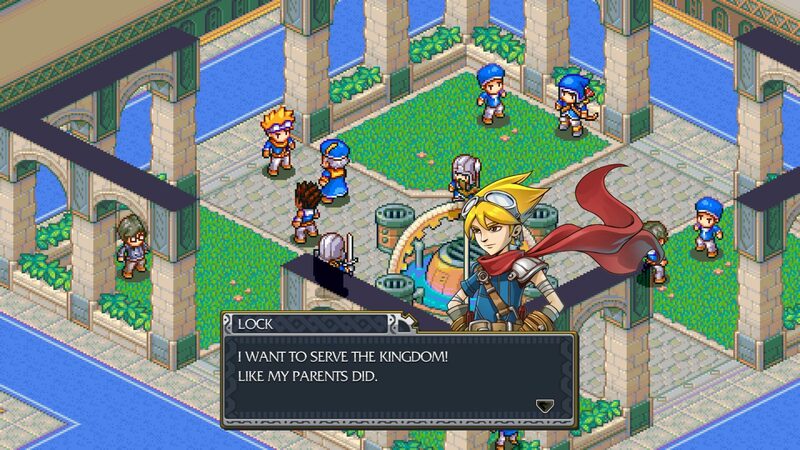 For that reason, the remastered version of Lock’s Quest, a sleeper hit developed by 5th Cell and originally released in 2008 for the Nintendo DS, still holds up for the most part as a fun and challenging strategy romp thanks to it’s solid core gameplay – if you can handle the wonky adapted control setup. Don’t worry, attempting to create artificial life using mysterious magical goo ALWAYS goes well. The game takes place in a steampunk-style kingdom powered by a strange substance known as Source. Archineers used Source to build cool stuff and power useful machines, and eventually decided to study it. The best Archineer named Agonius found out he could create life with it, and thought it might be a good idea, but his king didn’t agree. Agonius was kicked out of the kingdom, took up the mantle of Lord Agony (what a stretch, right?) and waged a war with his army of clockwork robots. The game focuses on Lock, a boy who lives and works as an archineer in a sleepy, peaceful beach-side town several years after the war. After about 10 minutes of some opening dialogue, remnants of Agony’s clockwork army begin attacking the town and – surprise! – Lock’s sister goes missing. It’s now up to Lock to defend the town using a bunch of hastily crafted walls and turrets. As it turns out, random robot attacks are a bit of an issue for the entire kingdom at the moment. Lock will find out that the defeat of Lord Agony wasn’t as permanent as the kingdom hoped. Along the way to finding out why this is happening, you’ll defend against wave after wave of robot baddies by constructing walls, towers, traps and troops in an increasingly difficult set of challenges. As much as I like to bag on the story and setting, it’s definitely not the worst writing or fantasy world I’ve seen. And it definitely fits with the overall tone of the game’s art style. If you’re a fan of Final Fantasy Tactics Advance, you’ll feel right at home with the cute, stylized character sprites and bright soundtrack. The remastered music and character portrait art feel like a definite improvement from the DS version, but the visual updates are lacking. I’m not sure if it just because it’s a DS game on a larger screen, but the characters look quite jagged at times. It seems like a missed opportunity to give the sprites some polish. Additionally, the adapted controls for keyboard/mouse or controller feel quite awkward at times. The original DS game relied almost entirely on stylus control, and the experience didn’t translate well at all. Lock gets access to several important context-control sensitive abilities along his journey, and I sorely wished I could just mash a stylus onto the screen to make it work instead of struggling with a controller. I would highly recommend using a controller over keyboard and mouse if you’re playing on PC because it’s a little easier to grasp. It’s a real shame how the controls turned out, because when the gameplay finally clicks for Lock’s Quest, it’s spectacular. Whether you’re defending a Source point, rescuing hostages or taking out priority targets, each round begins with a build phase where you construct new traps, walls, turrets or troops. After each build phase, players control Lock as he runs around the map to repair damaged defenses and fend off waves of clockwork baddies using special abilities. I particularly enjoyed the emphasis that 5th Cell placed on resource management; you’ll never have enough time or Source to create an impenetrable fortress, but you’ll have just enough to make it through each wave. 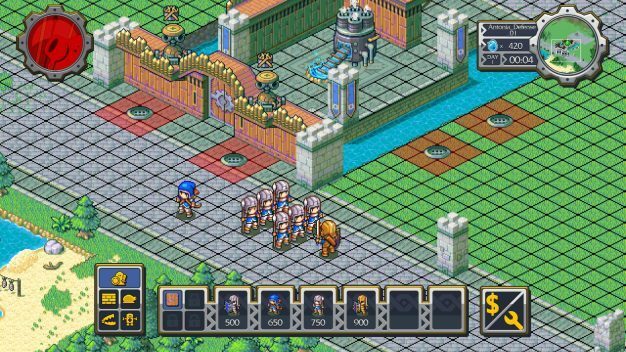 If you’d like to truly test your mettle as a tower defense master, the remaster also includes an endless wave mode called Antonia Defense that can get truly crazy the longer you play. There’s nothing really new here for veteran Lock’s Quest players, aside from Antonia Defense and some updated art and music. But if you missed out on it the first time around and don’t feel like hunting down a DS copy, this remaster is definitely not a bad way to check out an overlooked DS classic. The progression system feels very balanced; unlocking new turrets and encountering new enemy types presents fun new challenges without feeling overwhelming. There’s a wonderful balance between action and strategy, and every round feels like a satisfying victory against heavy odds.